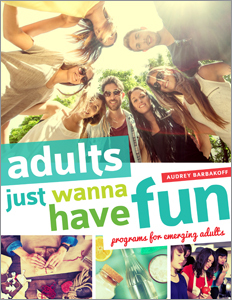 Adults Just Wanna Have Fun. ALA Editions, 2016. 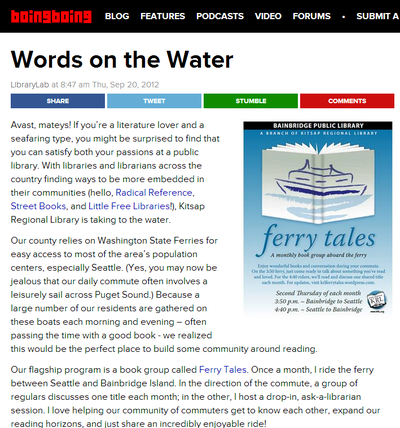 Get on Board with Community Needs: Ferry Tales, a Monthly Book Group Aboard the Ferry. In L. White & A. Molaro (Eds. 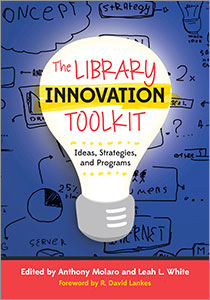 ), Big Book of Library Innovation. ALA Editions, 2015. Virtual Services to Latinos and Spanish Speakers. With Gomez, K. In C. Smallwood & K. Becnel (Eds. 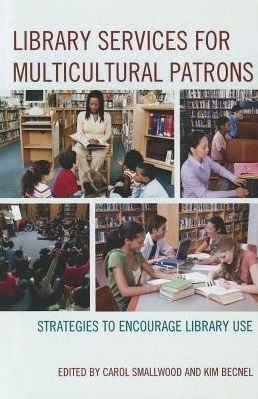 ), Library Services to Multicultural Patrons to Encourage Library Use. Scarecrow Press, January 2013. Building on Green: Sustainable Thinking Goes Beyond Green to Unite Library Space and Community. With Barbakoff, B. In M. Antonelli & M. McCullough (Eds. 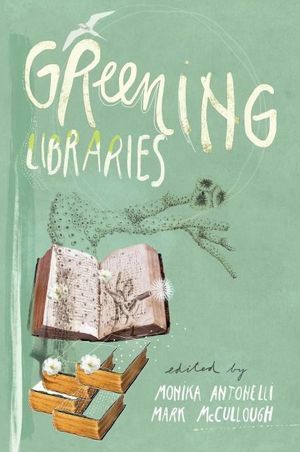 ), Greening Libraries. Library Juice Press, July 2012. 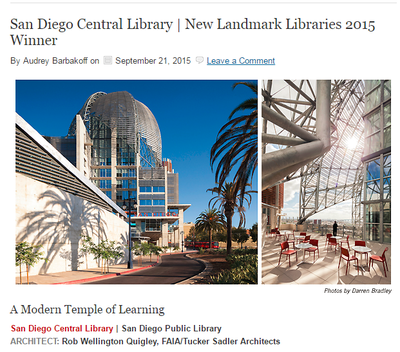 New Landmark Libraries. 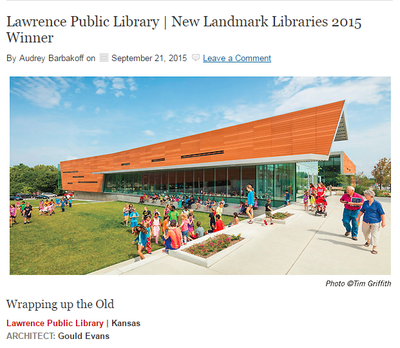 Library Journal, Sep 2015. 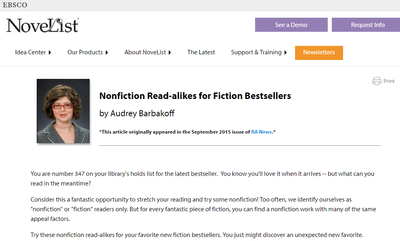 Nonfiction Read-alikes for Fiction Bestsellers. NoveList, Sep 2015. 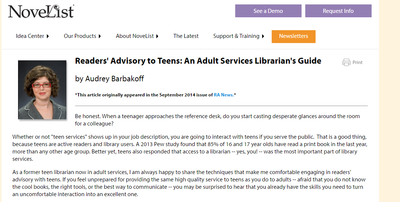 Readers' Advisory to Teens: An Adult Services Librarian's Guide. NoveList, Sep 2014. 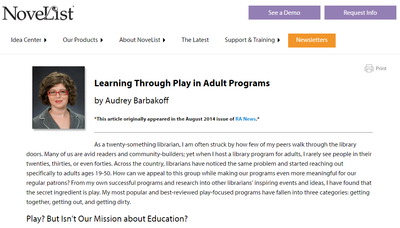 Learning Through Play in Adult Programs. NoveList, Aug 2014. 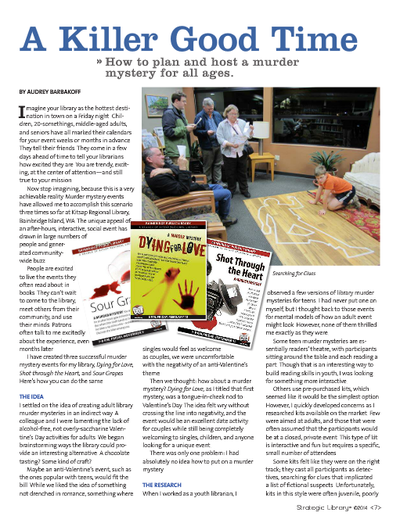 A Killer Good Time: How to Plan and Host a Murder Mystery for All Ages. Strategic Library, May 2104. 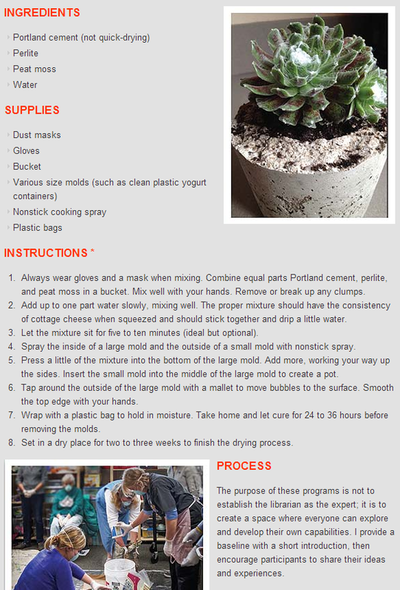 Radical Home Economics: Programs that Pop. 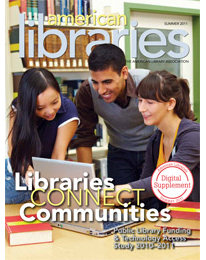 Library Journal, April 2014. 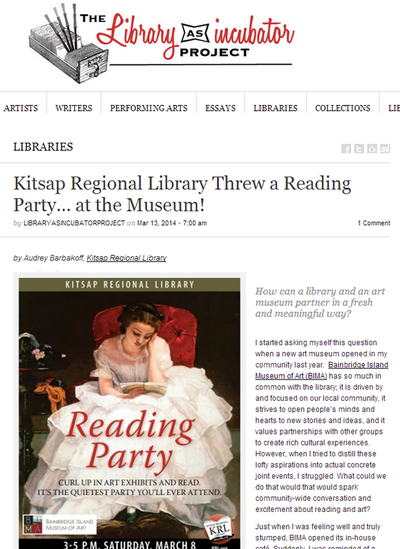 Kitsap Regional Library Threw a Reading Party ... at the Museum! The Library as Incubator Project, April 2014. Surrender to your inner youth with these fast-paced teen novels. Kitsap Sun, May 2013. Words on the Water. 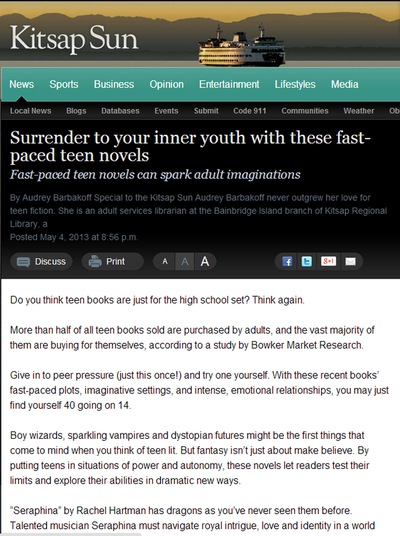 Boing Boing, September 2012. 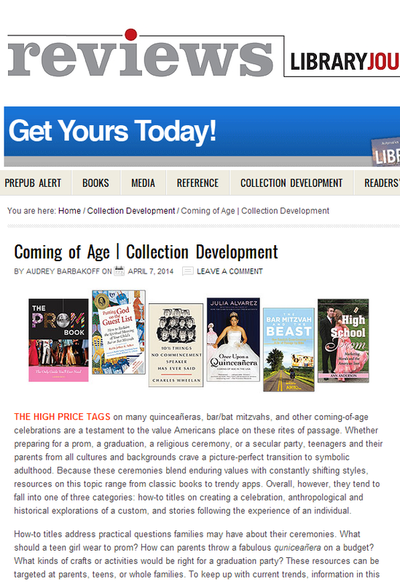 Library Journal reviews and collection development articles, various dates. Filter this! 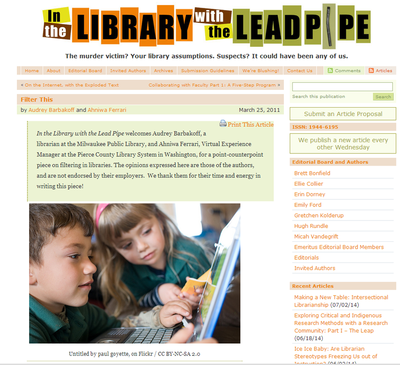 In the Library with the Lead Pipe, March 2011. 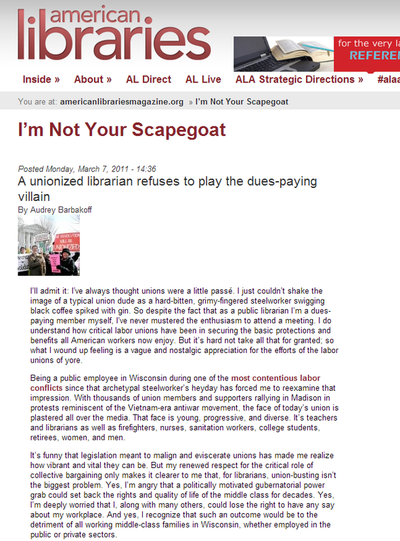 I’m Not Your Scapegoat: A unionized librarian refuses to play the dues-paying villain. American Libraries, March 2011. 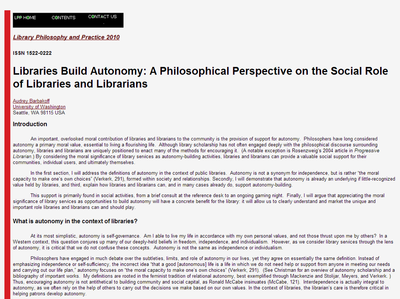 Libraries Build Autonomy: A Philosophical Perspective on the Social Role of Libraries and Librarians. Library Philosophy and Practice, December 2010. Thanks, Amazon. Public Libraries, July 2011.